Tonight’s first half between the Knicks and Cavaliers inspired a bit of feeling that the Knicks might really be here: that their young talent could gel well enough to take down a top-tier talent like Cleveland, that Frank Ntilikina could be bold enough to shove LeBron around a little, that the team could show this year to be the one where they transcend their status as punchline. But like most feelings based on one half of one game, these ones aged kinda poorly. That was due in large part to Kyle Korver’s performance off the bench in the fourth quarter, with 19 points to seal Cleveland’s come-from-behind victory. 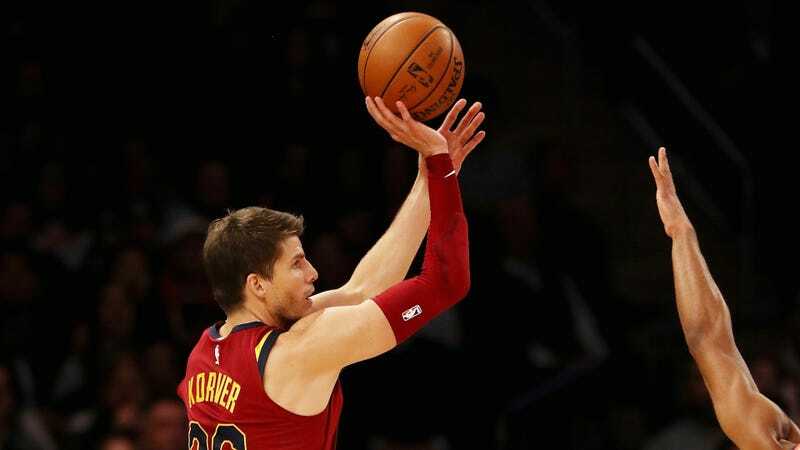 It’s the second straight game in which Korver has come up with a big final quarter—on Saturday, he scored all 13 of his points in the fourth as the Cavaliers beat the Mavericks. Tonight, it was just a little bigger and a little more-needed.